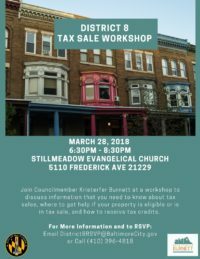 I wanted to extend the invitation to my latest District 8 Community Academy workshop on the tax sale process. 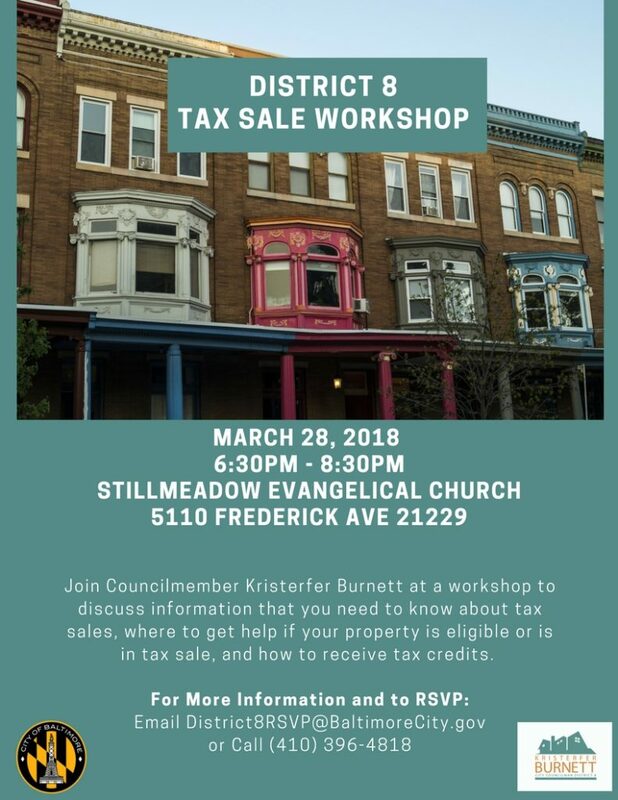 Losing ones home to tax sale can be a devastating experience for families across our city, and I want to make sure that everyone in my district understands the process, and the resources available to avoid tax sale. 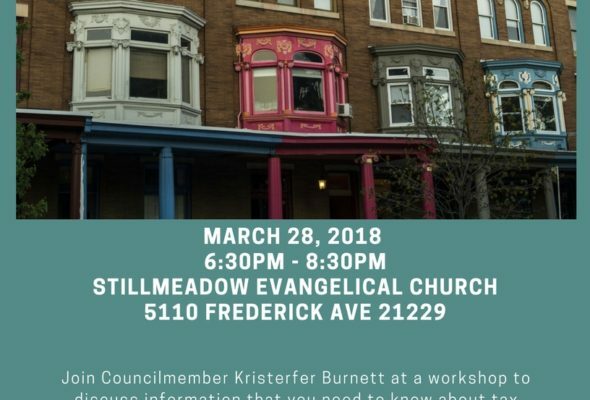 On March 28th, I will be hosting a workshop, in collaboration with the Department of Public Works, to educate property owners on all they need to know about tax sale. It will be located at Stillmeadow Church (5110 Frederick Ave, Baltimore, MD 21229) from 6:30pm to 8:30pm. Here’s the flyer for you — and it’d be great if you could assist in getting the word out to anyone who may need it.